by.RHO 2"x105" Screen Repair Kit. 3-Layer Strong Adhesive & Waterproof Ideal for Covering up Holes and Tears Instantly. 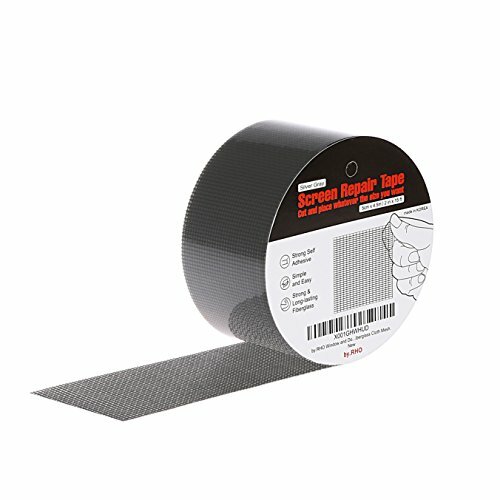 Screen Repair Tape for Window and Door Screen. Fiberglass Cloth Mesh. Need to repair a torn screen? 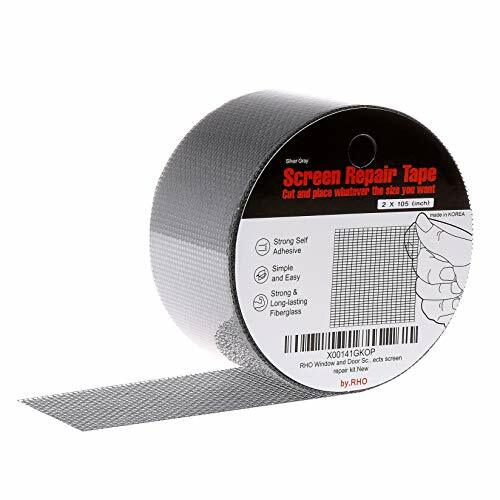 Here is the highest-quality screen repair tape. 1. Ultra-Strong adhesive and sticky Some repair tapes do not stick well. by.RHO tape's adhesive strength is improved. Don't worry about it sticking well. 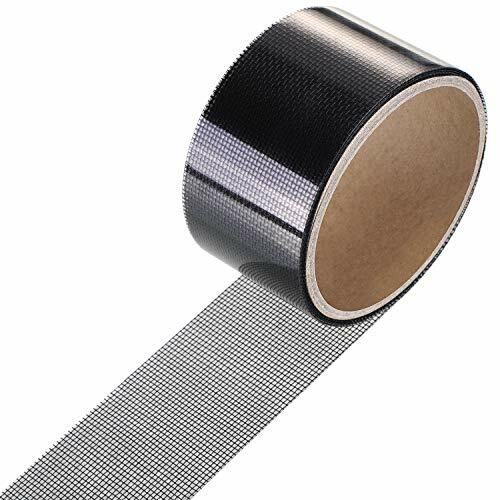 High & Low Temperature Resistance (-4 ~ 140 ) * For perfect temperature resistance, please apply the tape at temperatures above 50 F.
3. And very simple and easy to use. Clean the area of the screen you want to repair If the area is not neat, you may trim it Cut the tape into appropiate size Remove the release liner. Apply the tape onto the desired area. by.RHO is officially registered brand on Amazon.zom. Only by.RHO seller has the authority to sell by.RHO brand products. by.RHO is not a wholesaler, so all the products are counterfeit except byRHO seller's one . The counterfeits do not stick to the screen. Please check the seller ID. There are cases where a defective product (does not stick to the screen) arrives, if do not buy from the By.RHO seller. Since the number of fraud cases has been increasing, please check the seller ID (by.RHO) before buying the products in order to avoid such harm. SAVE YOUR MONEY & ENERGY : Stop buying expensive whole screen. Problems solved instantly. ADFORS standard window screens are easy to install. They will not dent, crease, or unravel. Perfect for use in windows and doors; it will protect from insects and pests. ADFORS is leading the industry by offering a complete line of ortho-phthalate free screens. Green guard gold certification that limits strict emissions during production and is designed for a healthy living space. Screen retaining spline is the glue that holds a good screening project together. Pairing the correct spline size and color will ensure your screens go in smoothly and look great. ADFORS offers a wide variety of screen retaining spline to meet the need of any job, large or small. 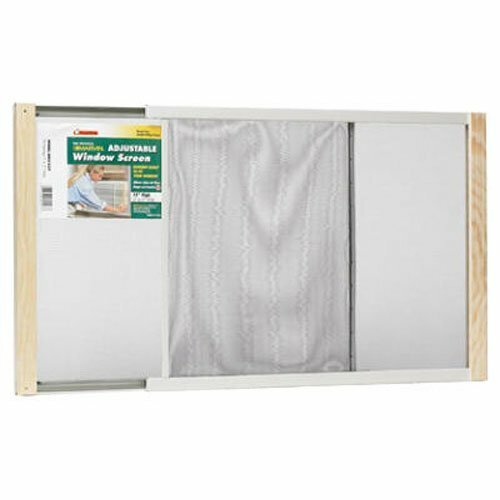 15-Inch x 21-Inch - 37-Inch Metal Rail Extension Window Screen. This is a bright, mesh screen. 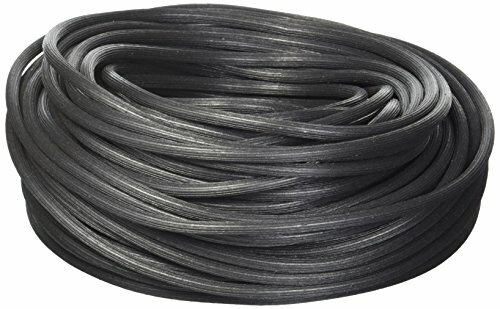 Wire extends from 19-Inch to 33-Inch. Galvanized rails and varnished wood ends. Machine clamped into metal rails. Extra sturdy, tenoned corners keep screens square. Comes with zinc-plated nails. GREAT STUFF Pond and Stone is the easy way to create beautiful aquascapes and hardscapes. By expanding to fill gaps and cracks, our foam filler helps direct the flow of water in waterfall, pond and streambed construction to the exterior of the water feature, instead of between or behind rocks. Introducing Screenmend, the do-it-yourself solution to mend holes and tears in your window and door screens in less than 60 seconds! Simple and easy application provides strong, long-lasting, weather proof solutions to rips and tears in all screen materials. 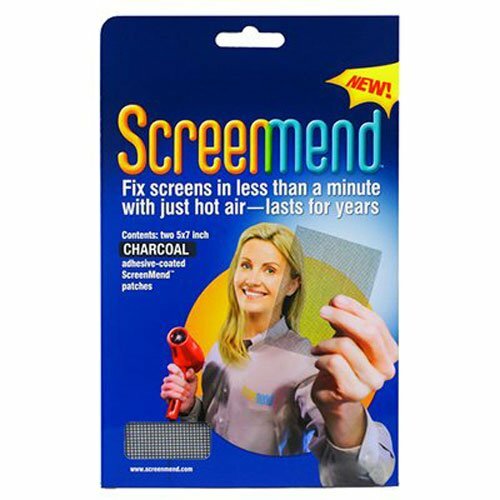 Screenmend is available in adhesive-coated patches and rolls in charcoal and silver-grey. To mend simply remove the paper backing and cut the Screenmend patch to the desired size, leaving an extra half-inch around the damaged area. Holding the adhesive side of the patch against the tear, apply heat with a hair dryer and in as little as 60 seconds, your screen will have a strong and long-lasting repair. Don't replace your damaged window and door screens, mend them with Screenmend. Warranty not offered for this product. Keep out of reach of children. QUICK REPAIR: Screenmend is the do-it-yourself (DIY) solution that lets you fix rips and tears in screen material in less than 60 seconds. Simple and easy application only requires heat from a hairdryer. REPAIR ANYTHING ANYTIME ANYWHERE: Mend rips and tears in window screens, screen doors, tent mesh, pool screens, RV screens etc. STRONG: Screenmend is a long lasting weather proof solution for all screen rips and tears that is durable and will save time. SATURDAY SAVED: No one wants to spend their Saturday in a store, especially when it involves spending hours looking for replacement parts. 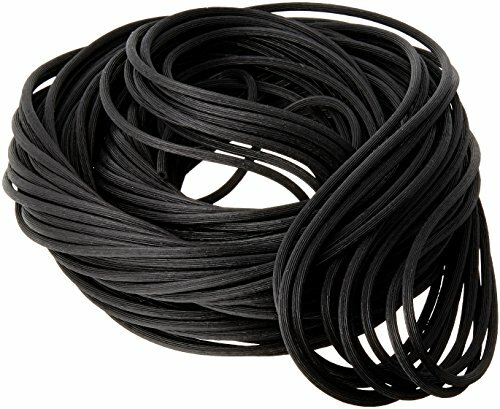 Use FiberFix and save your Saturday! Electrical sockets and switch plates on exterior walls can be hidden sources of drafts that may lead to high heating and cooling costs. 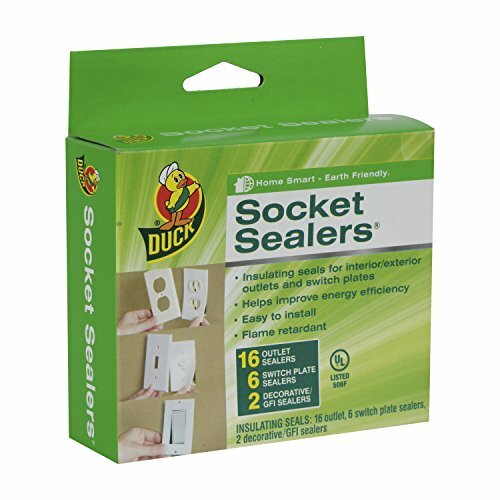 Duck Brand Socket Sealers Insulating Seals act as a buffer between your home's inside and the outdoor air, helping to keep conditioned air in and outside air out. The seal is easily installed by fitting snuggly behind the outlet or switch's outer faceplate cover. Use together with other Duck Brand weatherization products to make your home more comfortable and energy efficient all year long. Provides year-round comfort and energy savings by reflecting up to 70% of summer heat and retaining up to 55% of winter heating. Rejects 99% of damaging UV rays which offers protection to home furnishings and decor. Reduces rising energy costs. Insulating films are scratch-resistant for longer life and are compatible with dual-pane windows. Designed for easy DIY application. Film also provides a safe anti-lacerative barrier against broken glass caused by accidents or intrusions. Needs film application spray to install. 1.Fits most windows: Single/Double hung windows, sliding windows, casement windows, curved/balcony windows, etc. 2.Can be used for windows made of wood, steel, aluminum, UPVC, etc. 3.Easy to install. A magnetic window screen can be installed in 15 minutes. 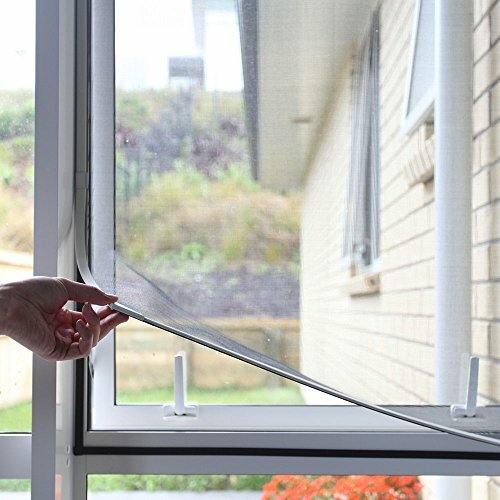 Omit time to measure and save money from custom-made window screens. 4.Changing and washing the screen is completely DIY. No extra maintain needed. 5.Use magnet to firmly seal windows. 6.No screws or drilling. Keep windows' original structure. 7.Dedicated industrial 3M adhesive, high viscosity and long lasting. No sticky left after peeling. 8.Can be used either indoor or outdoor. High quality material suitable for all weather conditions. 9.Screen frame as narrow as 1/2" to fit even the smallest area available. 2.Connect the PVC with corner connectors to make the screen frame, extend the length if needed. 3.Lay the mesh on assembled screen frame and secure it with grooved magnetic strip. 4.Cut off the excessive mesh around, and place the magnetic tape on top. 5.Lift the protective film on the magnetic strip, and place the wind clip on, then put the protective film back on. 6.Clean the original window frame, make sure it's clean and dry. 7.Peel the protective film on top and attach to the window frame, adjust before mount it on completely. Our charcoal black DocaScreen 100 foot bulk rolls provide superior fiberglass mesh screen value at an unbeatable price. 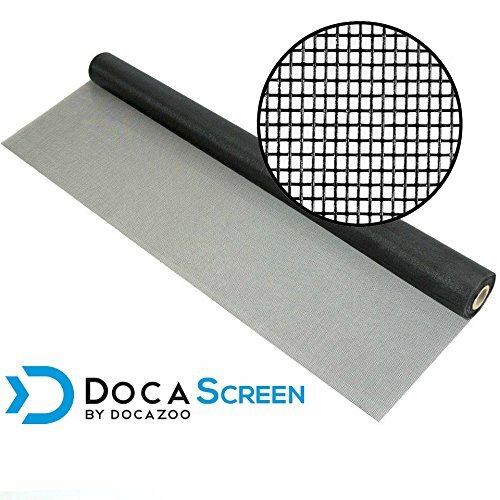 Optimally designed to balance insect protection, sun screening, air flow, and visibility, DocaScreen window screening is perfect for all your professional and DIY mesh screening needs. Whether you're a contractor or embarking on your own personal screening project, DocaScreen provides the quality, durability, performance and value you need. From professional grade window and door screening applications to DIY or professional screened-in porch projects, our fiberglass mesh screens will meet the demands of your projects. The applications are endless: screened-in patios, outdoor kitchens, window screens, door screens, pool screens, porch enclosures, tree houses, sun room, the list goes on... Whatever your needs, we have right sized screen for your whole project. We offer six different bulk roll sizes to best match the demands of your project, all in our idealized charcoal color. Search "DocaScreen" or the individual ASIN codes listed below to find the Amazon listing for each DocaScreen roll. With our 100% satisfaction guarantee, purchase at no risk. Have a question? Contact us directly! We're happy to discuss your requirements. Give DocaScreen fiberglass screening a try. You'll be glad you did! 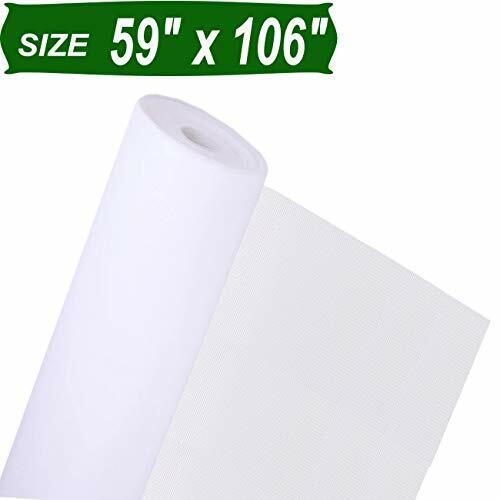 NASA Tech White Reflective Foam Core 2 Car Garage Door Insulation Kit 16FT (WIDE) x 8FT (HIGH) R Value 7.5 Made in USA New and Improved Heavy Duty Double Sided Tape (ALSO FITS 16X7) Increaes R Value Up to 8. Increaes R Value Up to 8 / Sound Reduction Technology. Made In USA / Super Fast Shipping / Ships Same Day. Easy to Install Instructions / Telephone Support for any install Questions. New and Improved Heavy Duty Double Sided Tape, Squeegie & Razor. Chilly winter weather can send the home heating bill through the roof. But a little insulation goes a long way! Cut a chunk out of your power bill, and make your home more energy efficient with the Duck Window/Patio Door Kit! 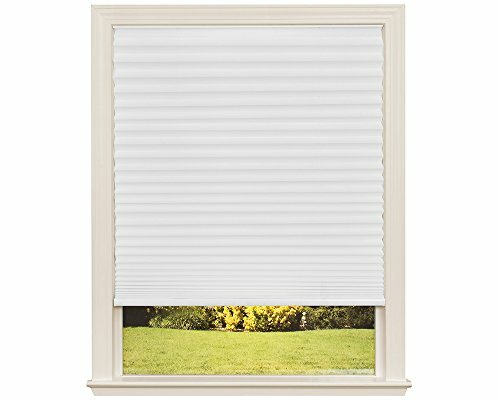 The kit includes one 84 x 120-inch sheet of crystal clear plastic film and one roll of 1/2-inch x 36 feet (432 inches) double-sided tape, enough to insulate 1 extra large window or patio door. Once taped to the door or window frame, the crystal clear film heat shrinks with a blow dryer to seal out drafts and cold. For indoor use on painted or varnished wood, aluminum and vinyl surfaces only. The film helps prevent drafts and heat loss to provide a drastic increase in energy efficiency. A properly sealed home can cut energy costs by hundreds of dollars a year. This simple solution is easy to install, affordable, and works warming wonders. 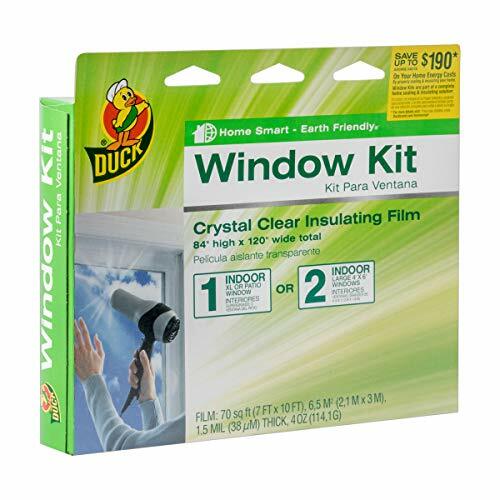 Be home smart and with the Duck Window Kit! Get yours today! 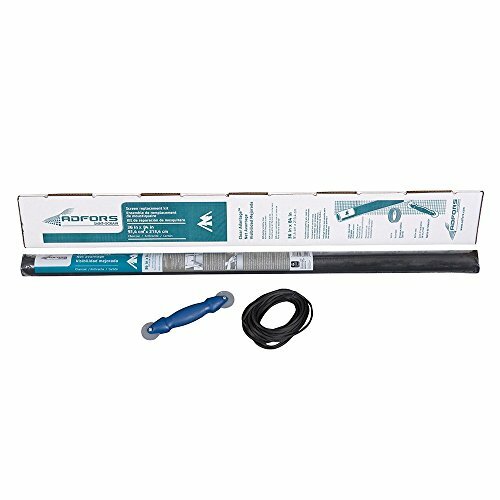 Adfors premium clear advantage screen replacement kit contains everything needed to replace two windows or one screen door. Clear advantage screen features low diameter fiberglass yarns which, when combined with more yarns per inch, provides the optical illusion that the screen is invisible. The screen installation tool and .140 inch diameter spline are included ands easy to use and install. Save time and money by purchasing this all in one replacement kit!adfors is leading the industry by offering a complete line of ortho-phthalate free screens. Greenguard gold certification that limits strict emissions during production and is designed for a healthy living space. Made of good quality fiberglass material, waterproof and durable, crack resistance and not easy to break. Mesh design eliminate bubbles and blisters. 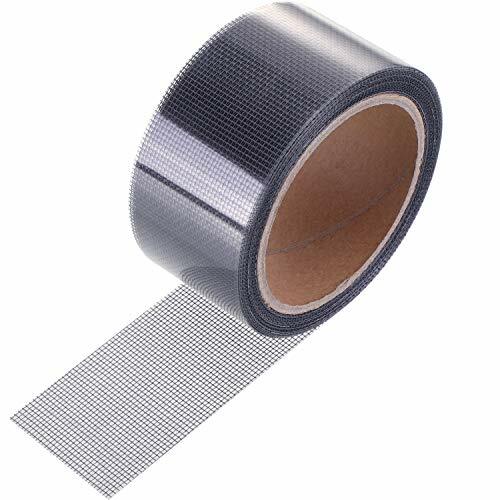 Cut the screen repair tape into suitable size and paste it on the place you want to repair with self-adhesive back. Ideal for indoor and outdoor use, can be applied in repairing window screens, door screen, tent mesh and RV screens, etc. Please keep the window and tape clean and dry before installation. 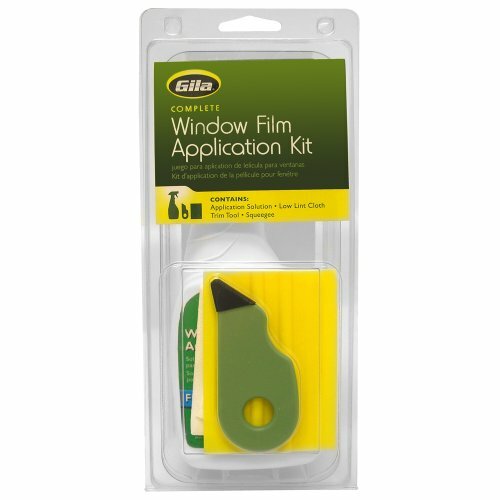 Window and door repair kit: ideal for indoor and outdoor use, can be applied in repairing window screens, door screen, tent mesh and RV screens, etc. Roe & Moe Telescoping Window Security Guard Bars (2-Pack). Adjustable length from 17 to 27 inches. Prevents forced entry. 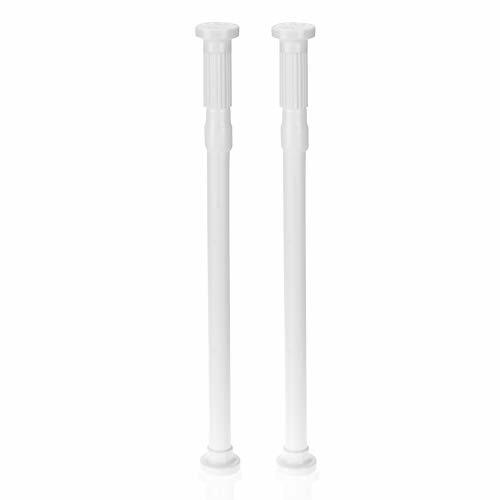 Can be used in cupboards, cabinets, shoe closet and as a curtain rod. Size of Fiberglass Screen Mesh: 59" x 106"
Fiberglass Screen Mesh is folded in a bag, Be careful and do not use scissors or sharp tools when opening the package. If you need other size of Fiberglass Screen Mesh or Fiberglass Screen Mesh with installation tools, welcome to visit our Senneny Online shop or search Senneny on amazon.com, you will find you need. PERFECT FIBERGLASS SCREEN MESH for all screening applications: new and replacement window screens, window screen repair, screen door, porch screen, patio screening, insect screening, pet screen, patio screen repair, and other professional and DIY screening applications. EASY TO INSTALL AND DIY CUSTOM: Window screens are easy to cut, the size of the item is 59 x 106, you can easily cut it to the shape and size you need. If you want to install it on windows or doors, please refer to the installation method in the picture. GOOD PERFORMANCE: The fiberglass screen adopt flat weaving technology and after high temperature forming, chemical corrosion resistance, inflaming retarding washable and no deformation, service life up to 5 years. Senneny Online is committed to providing each customer with the best quality products and the highest standard services. Full refund or replacement is available if you are not satisfied with our window screens, Please be assured of the purchase. These sash balance take-out clips are constructed of stamped steel and come in a zinc-plated finish. They are used with channel balance hardware, also known as block and tackle hardware in both single-hung and double-hung vertically sliding windows. 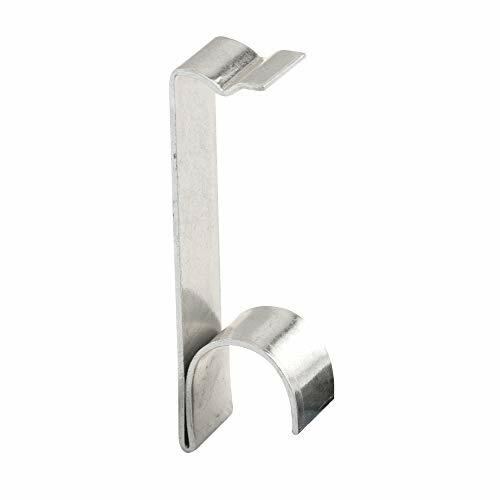 These clips install flat against the vertical left and right sides of window jamb legs. When the sash needs to be removed from inside the window frame, opening these take-out clips disengage the channel balances when the sash are lifted. Two take-out clips are required for each sash. These clips are simple to install and are used by many vinyl window manufacturers. 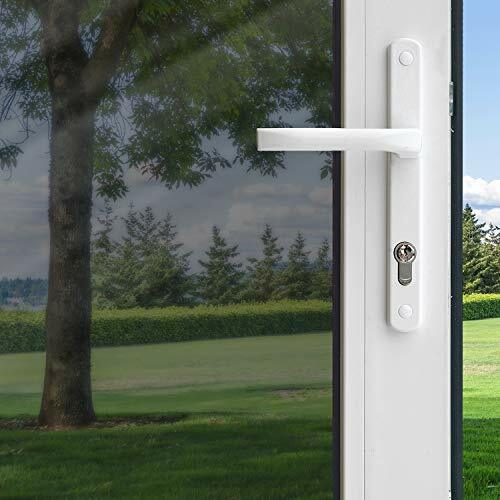 Applications: Apply to various of door and windows, such as wooden doors, plastic-steel doors, security door, garage doors, moving gates, sliding doors, auto doors etc. Widely used on Household appliances, hotel, hospital, business building, clean projects. -Cut it pieces to the length you need and apply. -To obtain optimum adhesion, keep the bonding surfaces clean and dry. 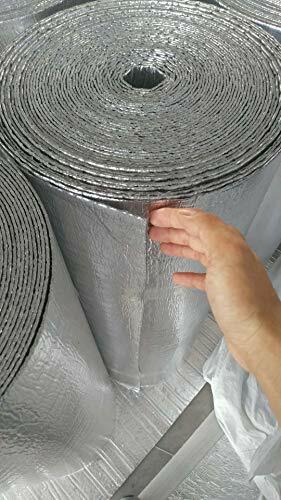 EXCELLENT SEALING PERFORMANCE: shock-proof, heat insulation and sound insulation performance, stops heat, cold, draughts, dust, insects, noise and rain. Can be used in wide application temperature scope (- 40`C~+120`C). Note that apply this seal only if the air and surface temperature is between 55 - 104 F(13 - 40 C). If 45 -54 F(7 - 12 C) you can use a hair dryer and warm the tape and surface of pickup 6in (15cm)section at a time, then apply. 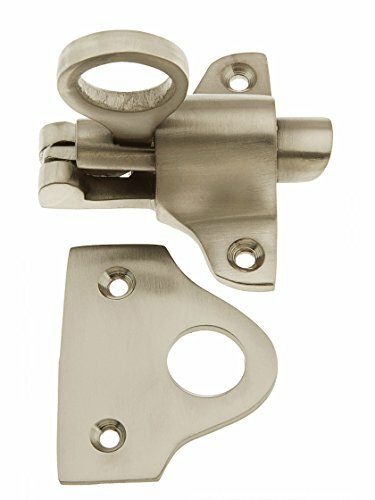 Solid Brass Transom Window Latch in Satin Nickel. This sturdy, barrel style transom latch is made of heavy-duty cast brass. 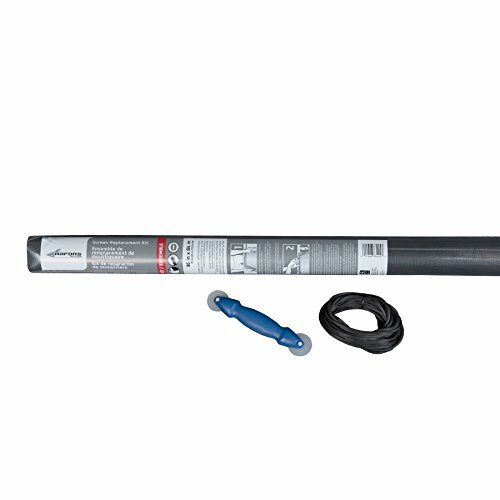 The shaft is spring-loaded for vertical installation and keeps the window tightly fastened. This latch is typically installed at the top of the window sash and operated with a pull chain or pole-mounted transom hook (use transom chains to keep the sash from falling open). Dimensions: 2 1/4" W x 2" H. Projection 2". 1/2" throw. Catch: 2" W x 1 3/4" H. Includes 4 matching mounting screws. 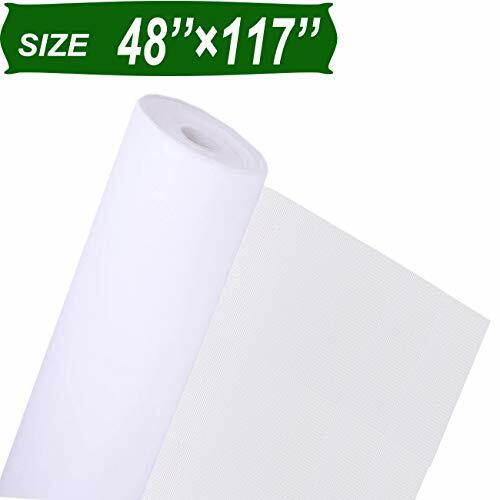 Size of Fiberglass Screen Mesh: 48" x 117"
EASY TO INSTALL AND DIY CUSTOM: Window screens are easy to cut, the size of the item is 48 x 117, you can easily cut it to the shape and size you need. If you want to install it on windows or doors, please refer to the installation method in the picture. 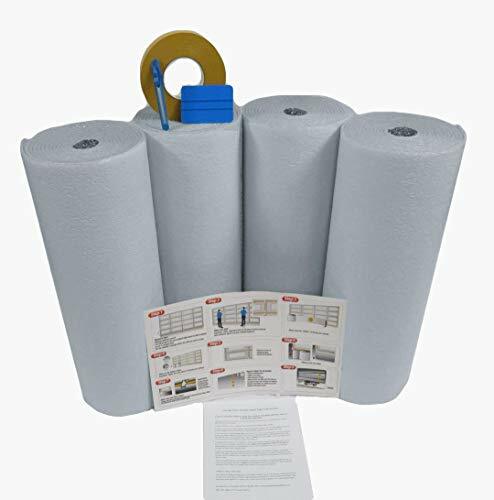 Miloo has created a heavy-duty thermal insulation that reflects heat radiation while creating a powerful barrier from the outer element. Our high quality reflective insulation will save money and conserve energy while creating an effective sound barrier in hundreds of applications. Wall and Ceiling insulation - Save on energy costs while creating an effective sound barrier. Hot Water Radiator - Install between outer wall and radiator to prevent heat from escaping your home. Radiant Floor Heat - to be installed under the heating pipes reflecting the heat to radiate upwards towards the living space. Hot Water Pipes - Wrap around your exposed heating pipes to maintain optimal water temperatures while reducing energy costs. EFFECTIVE THERMAL RADIANT BARRIER: Reflects 98% of radiant energy (heat) with a thermal resistance R Value of 21. Prevents heat from escaping during colder seasons and does not allow heat to enter during the summer months. WATER AND MOLD RESISTANT: while being an effective humidity and moisture barrier as well. 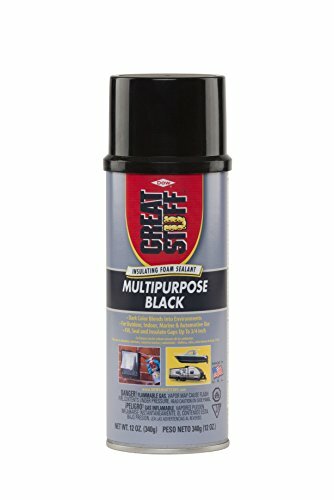 Can be used in outdoor and indoor applications.